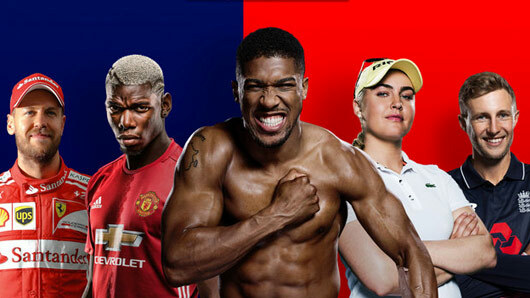 Not only will Sky Sports introduce a set of brand new dedicated channels on July 18, but customers will also gain access to some exciting new content. Once you’ve had your fill of the best live action across all the new channels, you can then take your pick from a range of documentaries, debate shows and masterclasses. Whether you’re a football fan or cricket connoisseur, there will be shows to suit everyone’s tastes. A great selection of informative and interesting documentaries will be available to watch on the new Sky Sports channels. In the coming months don’t miss Cricket and the Rainbow Nation on Sky Sports Cricket; a look at South African cricket from the days of their sporting ban during the Apartheid era to the present day. Also make sure to catch Whispering Death: The Michael Holding, an in-depth look at the life and achievements of a cricket legend. Also make sure to catch brand new shows on Sky Sports Football, including Celtic: The Invincibles and 20 Years of El Clasico. Make sure you get the most out of your favourite sports with Sky’s new selection of debate and review shows. For all you footy fans out there, brand new programmes include a Premier League debate show every week night in which all the hottest topics will be discussed. From August, there will also be a new weekly EFL Review and Goals show exclusive to Sky Sports Football. Improve your play with Sky Sports masterclasses and coaching shows. The Sky Sports Cricket channel will bring you live, weekly masterclasses with stars of the game including Brendon McCullum, Shaun Pollock, Daniel Vettori, Kevin Pietersen and Ellyse Perry as well as a series of stunning features. Sky Sports Golf will offer exclusive interviews with players and caddies to get you closer to the game, with Sky’s top golf talent offering masterclasses to improve your play. Viewers will be able to improve their game with help from our expert coaches, including Butch Harmon.